Space is never a neutral stage on which social actors play their roles, sometimes cooperating with each other, sometimes struggling against each other. Space has multiple and complex functions in the development of social relations, it is a reference for identity-building, a material condition for existence, and an instrument of power. This book explores the ways in which space has been used for resistance, especially in left-libertarian contexts. 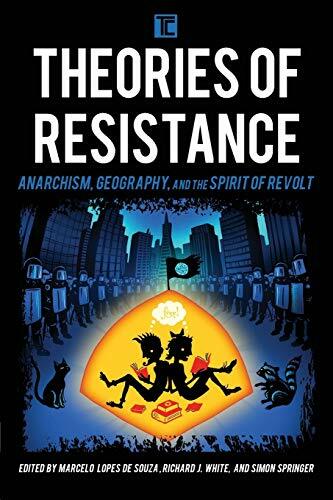 From the early anarchist organizing efforts in the 19th century to the contemporary social movements of the Mexican Zapatistas, the chapters examine a range of cases to illustrate both the limits and potentialities of utilizing space within anarchist practice. By theorizing the production of anarchist spaces, the book aims to foster new geographical imaginations that energetically cultivate alternative practices to challenge the status quo. It shows that spatial re-organization, spatial practices and spatial resources are also a basic condition for human emancipation, autonomy and freedom."